Have you ever wondered what it would be like to have a charter bus driving job? Have you ever pictured yourself skillfully (and cheerfully) maneuvering a 45-foot, 15-ton behemoth filled with high school students in the middle of the night? Let’s say, it’s not for everyone, but if you still think it sounds interesting, read on. When a driver gets behind the wheel of a bus, he or she takes responsibility for the safety and well-being of every passenger on board. It can be a daunting responsibility, and it is one that the U.S. Department of Transportation (DOT) takes very seriously. DOT, through its Federal Motor Carrier Safety Administration and in cooperation with all 50 states, enforces strict regulations to ensure that bus drivers meet the highest standards of knowledge, experience, and skill before they can transport passengers. All U.S. bus drivers are required to have a valid Commercial Driver’s License (CDL) with a “passenger” endorsement; this license is issued only after drivers have demonstrated their qualifications through rigorous tests of knowledge and on-road driving skills. It goes without saying that a professional bus driver should be an excellent driver with a solid grasp of highway and traffic regulations. A driver in the U.S. should be able to read, write and speak English well enough to follow directions, understand highway signage, keep logs and communicate effectively with passengers and company personnel. A qualified driver should also have a verifiable history of safe driving with no license suspensions for at least ten years and no drug- or alcohol-related violations ever. Most charter bus drivers are expected to handle baggage, frequently lifting or moving 50-100 pounds. A successful driver is a “people person.” The ideal bus driver is someone who enjoys being around people and has excellent interpersonal skills. A successful driver knows how to strike the right balance between diplomacy, assertiveness, and authority when dealing with difficult passengers — and knows when and how to lay down the law. A successful driver usually has a pretty good sense of direction (or at least a solid knowledge of geography) but does not hesitate to use a GPS. A successful driver is professional in appearance and demeanor, with a neat uniform, well-groomed hair and nails, and a clean shave. A driver can (and should) be friendly and outgoing, while at the same time always carrying him/herself in an appropriate, businesslike manner. A successful driver puts safety first. Like an airline pilot or ship captain, the bus driver is in charge of the bus and has ultimate authority and responsibility in matters of passenger safety and well-being. It is the driver who enforces rules, assists the chaperone or group leader with discipline problems or disputes, and decides whether an onboard incident warrants stopping the bus. A successful driver can handle basic inspection and maintenance tasks and performs an equipment check prior to each and every trip. 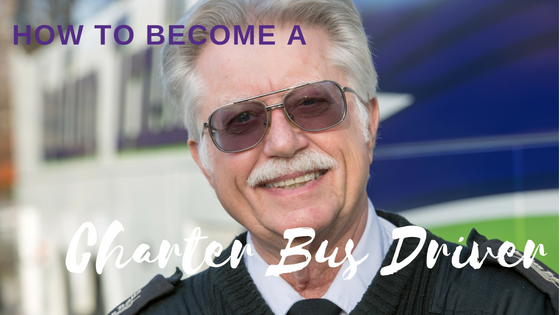 Do you have what it takes to be a professional motorcoach driver? Are you a people person? Would you rather be on the road — seeing new places and meeting new people — than at a 9-to-5 desk job? Do you enjoy the kind of job where no two days are the same? Are you the type of person who “just can’t wait to get on the road again”?